Manufactured by: French Drop, Ltd.
Tomoya Horiki's cutting-edge coin slide and coin routine! It is a collection of moves that do not use gimmicks or extra coins. The effect looks impossible, yet is simple to follow. Techniques are used to eliminate noise and complexity in order to increase the purity of the effect. The method is thoroughly minimized and the magic occurs with the minimum number of steps. Therefore, the effects stand out sharply. The method is creative, utilizing several innovative concepts. The difficulty level varies, with many parts requiring a bit of practice. The results, however, are quite rewarding. Sprout is full of fun elements. Please enjoy. Three coins move one by one from the left hand to the right hand, yet amazingly, they all are found to have returned to the left hand. Next, these three coins immediately move from the left hand to the right hand all at once. The Raven phenomenon reproduced with a slide. Just by holding your hand, the coin disappears. 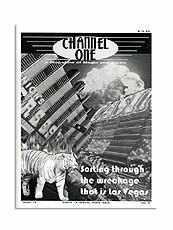 It is vivid, including the disappearance as well as the subsequent changes and appearance. A hanging coin routine with disappearance. 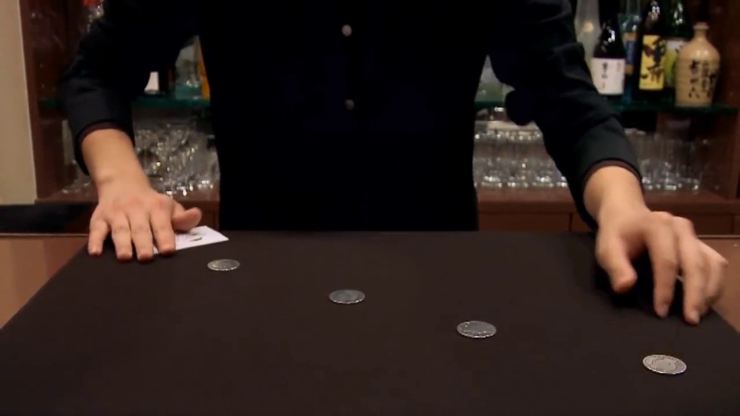 After one coin disappears from under a card, four coins are arranged with a stretch of the arm. Matrix gathered at once. Place one of four cards on each coin at a fairly equivalent distance - magically, they are all gathered under one card. Reverse assembly from the state where four coins begin gathered in one place. Amazing plots are achieved with a light touch. Two-card version of Matrix, with cards gathered at once. Since it is obvious that you have not gathered them until just before that precise moment, it is an extremely strong reaction once they are magically gathered. Impossible things happen, starting with four coins gathered under one card. The subsequent assembly is miraculous. Incredible effects using coins and a ribbon or cord. 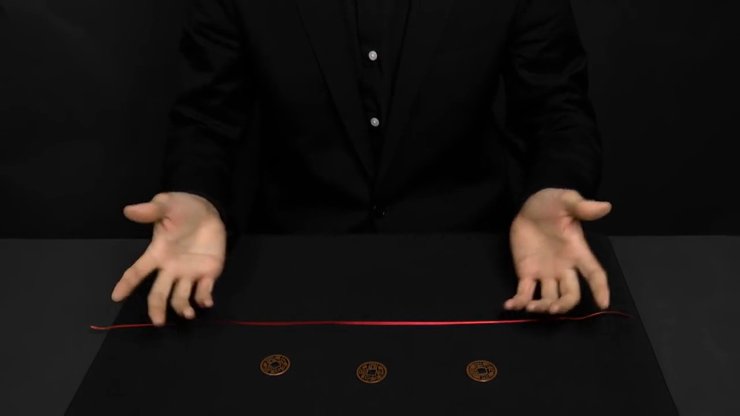 Coins are magically pulled off of the ribbon in impossible and mind-boggling ways, as well as suddenly appearing on it. Looks impossible! A technique to skip one or more coins from the finger palm position. This natural position allows for a natural movement pass. If you master it, this will be a lifetime weapon. Muscle pass from Vertical Sam Palm (Angle Palm). It flies in an easy-to-use direction, so it's easy to put in the procedure. The coin you have on your fingertips will disappear instantly. This is quite visual, as if you were using a reel. This is a technique to create the illusion of a coin being present, using sound.